This is a continuation of my article about travelers to India on import duty exemption. Can I bring liquor and wines to India on my travel to India from foreign country. Alcoholic liquor and wines are allowed up to certain quantity for each traveler as per Indian government rules amending time to time. If I carry cigarettes to India on my travel, should I need to pay duty on that. A certain amount of cigarettes are allowed to carry to India, the quantity and value allowed by government of India. I am a professional working abroad and now returning back after 4 months to India after completion of my job. Can I bring some household items to India on my return to India. An allowance of certain amount in term of import duty is allowed to professionals returning to India after his overseas stay, more than three months. Who is eligible under Transfer of Residence (TR). A resident returning from overseas country after two years as transferring residence to India is eligible under TR. A period of short visits not exceeding 6 months are permitted during this period. More period of such concession of 6 months also allowed if the passenger not availed such concession in preceding years. The said total period of 2 years can be even two months also due to special circumstances approved by customs authorities on the basis of return due to terminal leave, vacation or other special circumstances. What is the benefits under Transfer of Residents provided by government of India who returns back after staying in overseas country. Import duty exemption up to a particular amount of limit fixed by Indian customs time to time is eligible for those who shifts back their residence from foreign country to India. What are the items not allowed to bring under Transfer of Residents TR to India. The items like motor vehicles, vessels, aircrafts, cinematograph films, alcoholic liquor and wines (in excess of allowed limit), cigarettes (in excess of allowed limit), cigars (in excess of allowed limit), tobacco (in excess of allowed limit), Gold (other than ornaments), Silver (other than ornaments), fire arms and cartridges of fire arms (in excess of allowed limit) etc. are not allowed to bring under the scheme of TR. When returning back from overseas stay for more than two years, I brought non permissible items like motor vehicles, vessels, aircrafts, cinematograph films, alcoholic liquor and wines (in excess of allowed limit), cigarettes (in excess of allowed limit), cigars (in excess of allowed limit), tobacco (in excess of allowed limit), Gold (other than ornaments), Silver (other than ornaments), fire arms and cartridges of fire arms (in excess of allowed limit) etc. How to handle. 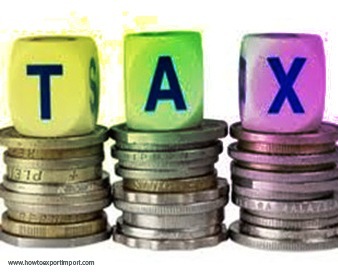 You may pay import duty amount on such product as specified by Indian customs department. When returning back to India from foreign country, a certain amount of duty fixed by customs time to time need to be paid under goods like Color/monochrome TV , VCR/VCP/VTR, Digital Video Disc (DVD) player, Video Home Theatre system , Washing machine, Electrical/LPG cooking range (other than stoves with up to two burners), Music system, Personal/Desk top Computer, Note book computer/ laptop computer, Air conditioner, Refrigerator, Deep freezer, Microwave oven, Video camera or video camera with TV, sound/video recording apparatus, Word processing machine, Fax machine, Portable photocopying machine, Vessels , Aircrafts, Cinematograph films of 35 mm, Gold or Silver. I have planed to visit some foreign countries as a tourist. Can I bring some goods for my personal use from overseas country. Tourist person (s) is eligible up to a total of certain amount of import duty as per the terms of baggage rules fixed by government of India time to time. FAQ about travelers to India on import duty exemption – Frequently asked questions. SABAPATHI: On 16 December 2013 Dear Sir I am working in naoribi, after 1.50 years returning to india on leave, so can i take handicraft doll to home. Surendran Kollerath: On 09 March 2014 Hi Sabapathi, You are eligible for import duty exemption under TR Transfer of Residents. R K Kavina: On 03 December 2014 Dear Sir, I am a Merchant Exporter. In a direct sale / purchase transaction, a kenyan company has purchased the plant and machinery of a sugar plant. The kenyan company has made the payment for the plant and machinery to the Bankers who had hypothecated the plant and machinery to the sellers. Bank and Seller have issued the NOC for the Kenyan Buyer to dismantle and take the plant and machinery out of India. The Kenyan Buyer has contracted with me to get the machinery dismantled and ship out of India and again do the erection in Kenya. Can I file the Shipping Bill and Export this plant and machinery on Free Shipping Bill Basis when the transaction of payment for the machinery does not involve my company. Can you please revert. Meenakshi: On 23 January 2015 Is import of asafoetida from Afghanistan exempt from import duty? I came across a news that said so but could not find the notification no. Raman Tandon : On 11 February 2015 I am Raman Tandon. I am m an Indian passport holder, but now a days I am staying in Duabi. I want to bring Samsung LED tv 40inch. Can you please tell me how much of excise duty I have to pay. Because after some days I am traveling to india. So please let me know. I am waiting your reply. Sunitha Bizzarro : On 21 November 2016 Sir I wanted to ask I want to ship some house hold stuff from bangalore to Switzerland it's around hundred kg please give me details.